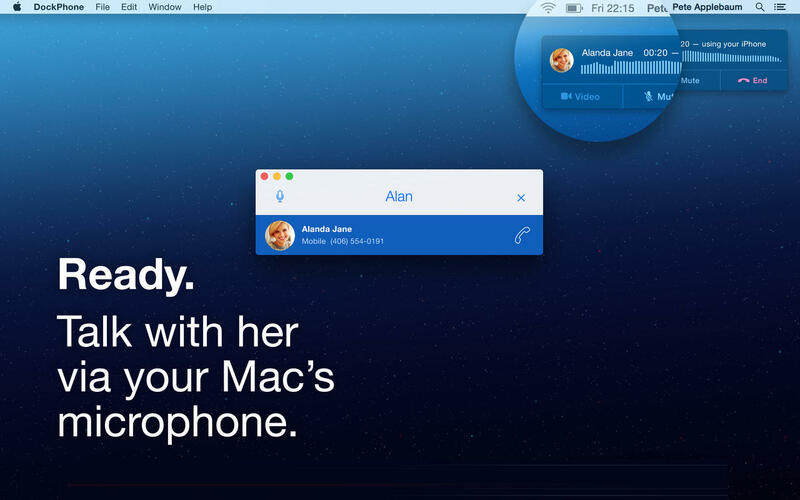 Speak freely via the microphone of your computer. 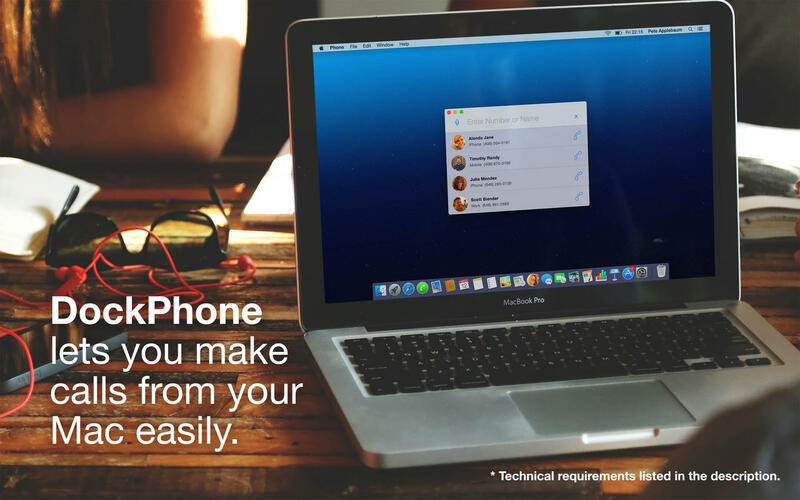 We developed DockPhone because we wanted to have a real phone app on the Mac. As known from TechCrunch, LifeHacker, MacRumors, ifun and others! To start a call, type or speak any number or a name. 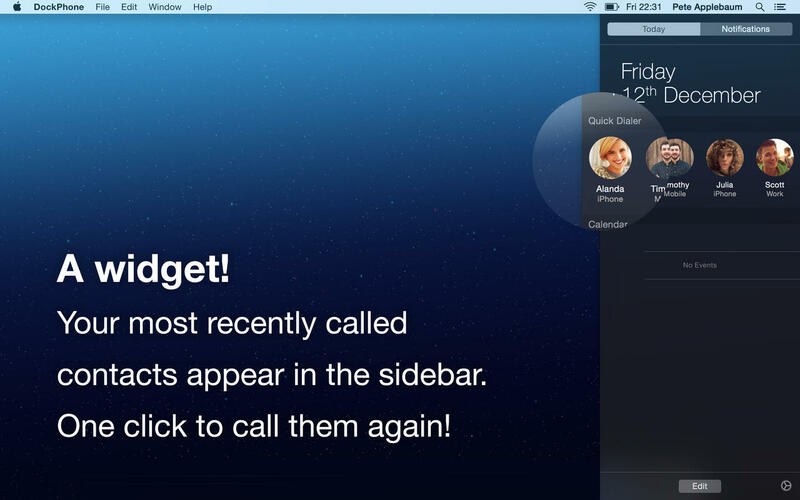 DockPhone lets you search in your contacts, or dial arbitrary phone numbers. Hit the Dial button and enjoy your phone call. NOTE: Make sure you meet the requirements listed below. Otherwise DockPhone won't work for you. We have listed several troubleshooting tips on our Help site (see the links on the right). You will also find contact information to receive additional support! Oh, and check out the beautiful Today widget you'll get with this app! Re-dial your most recent contacts with just one click! - Your iPhone carrier may charge for the phone calls. – Global shortcut: You can specify a keyboard shortcut to bring DockPhone to front. – Menu Bar Icon: You can specify if you'd like a menu bar icon, a dock icon, or both. – Support for special characters and umlauts: é, è, ë, etc. – Search for nicknames: You can now search for 'Mom', 'Honey', etc. – iOS companion app with HandOff integration and synchronized Recent Calls. If you'd like to support us, leave a nice rating on the Mac App Store :-).